J D Imboden was appointed captain, Staunton Artillery, at Staunton, Augusta County, Virginia, on 17 April, 1861. T L Harman was appointed first lieutenant, Staunton Artillery, at Staunton, Augusta County, Virginia, on 17 April, 1861, and died of typhoid at Staunton, Augusta County, Virginia, on 10 September, 1861. A W Garber was appointed second lieutenant, Staunton Artillery, at Staunton, Augusta County, Virginia, on 17 April, 1861, and was wounded at the first battle of Manassas on 21 July, 1861. First Lieutenant A W Garber, Staunton Artillery, was appointed captain, Staunton Artillery, on 13 December, 1862. Several naval batteries of two 32 pounder pieces mounted on ships carriages were stationed at Bolivar Heights, one and a half miles west of Harpers Ferry, Jefferson County, Virginia, under the command of First Lieutenant C M Fauntleroy, Confederate States Navy, on 23 May, 1861. Note: First Lieutenant C M Fauntleroy, United States Navy, resigned on 7 April, 1861, and was dismissed by the Secretary of the Navy G Welles on 13 May, 1861. He was appointed first lieutenant, Confederate States Navy, on 10 June, 1861, and was stationed at Winchester, Frederick County, Virginia, between 23 June and 1 July, 1861. First Lieutenant C M Fauntleroy was assigned as ordnance officer to General J E Johnston, Confederate States Army, at the first battle of Manassas on 21 July, 1861. The 160th Virginia Militia (Augusta County), Companies A and B, under the command of Colonel W D Anderson, were mustered in Confederate service by Major M G Harman, Provisional Army of Virginia, at Staunton, Augusta County, Virginia on 29 June, 1861. Regimental muster, Spring Hill, Augusta County, Virginia, 160th Virginia Militia (Augusta County), 9 May, 1861: The 160th Virginia Militia (Augusta County) was ordered to muster at Spring Hill, AugustaCounty, Virginia, on 9 May, 1861. "The Culpeper Minute Men turned out on Wednesday evening, and were addressed in a very feeling and patriotic address bt capt. Patton, after which some twenty or thirty new members were enrolled. The Culpeper Observer says: 'At 9 o'clock at night they again formed into line and marched to the Court House, where they remained until the arrival of the train at day break, the next morning, when they were joined by the West Augusta Guards, Staunton Artillery, Gordonsville Greys and Montpelier Guards from orange C. H. In addition to the Minute Men, the Letcher Artillery, Capt. Freeman, left - the two Companies numbering about one hundred." "On Wednesday morning last, orders were received in this place from Richmond, for the Volunteer companies of the county to prepare for service. The two companies in town set obout it immediately, and messengers were dispatched to notify the companies in the county. Capt. J. D. Imboden came up from Richmond on the afternoon train, with orders which were communicated to the officers alone. In the meantime, Maj. Gen. Harper had received orders to proceed to Winchester, to take command of the troops to be assembled there. It was understood that the Staunton Artillery, Capt. Imboden, and the West Augusta Guard, Capt. Baylor, would start East in a special train at 6 o'clock, P. M."
"Equal alacrity was displayed by the volunteer companies in the county. At a hal hours notice, the men left their homes and started to town. They were coming in during Wednesday evening and all day Thursday; and on Friday morning the Mountain Guard, Capt. Doyle, the Middlebrook Company, Capt. Williams, and the Greenville Company, Capt. Newton, marched down the valley. The New Hope Cavalry, Capt. Patrick, started on Friday on the same route." "About 400 troops are supposed to be at the Point of Rocks, and are strongly posted on the Virginia side. They comprise two companies of artillery from Leesburg and Staunton, two companies of cavalry from Fauquier and Leesburg, together with Captain Bradley T. Johnson's Frederick company and a company of Baltimore 'Southern volunteers,' which reached there this morning." "Harper's Ferry, 21 May - There is a considerable force below us at the Point of Rocks, prepared to resist the passage of troops over the Bridge or up the Railroad. Among the Virginia forces there, we hear of Capt. Ashby's Mounted Rangers, Capt. Roger's Loudoun Artillery, a part of Capt. Imboden's command from this post, Capt. Carter's Company of Cavalry, and Captain Winfield's Company of Rifles." "By order of Maj. Gen. Lee, Maj. M. G. Harman, Commandant of this post, called into service of the State the whole of the militia of Staunton, comprised in the Companies A and B." The Staunton Artillery, McClanahan's Battery, First Edition, No.Unknown, by R. J. Driver, Jr.
"His men also discovered in the armory some strong horse carts, and some of the men who were mechanically inclined used these axles and wheels to make caissons that served well through the First Battle of Manassas." "On June 30 Imboden's Battery had 107 officers and men. It had its four bronze, 6-pounder guns as well as the old-style heavy artillery sabers they had received when they had mustered in. Imboden reported that the men were clothed 'cadet grey uniforms' supplied by a firm in Augusta, consisting of a grey cap, a flannel shirt, grey woolen pants, and woolen socks." "While his infantry moved to Manassas by rail, Johnston ordered the artillery batteries to travel by secondary roads. He directed his chief of artillery, Col. William N Pendleton, to form a column of his five batteries: the four brigade batteries and the one reserve. But by nightfall on July 19, only three of the five batteries had arrived at Piedmont, and Pendleton set out in the dark with these." A guide to Virginia military organisations 1861-1865, revised Second Edition, by I. 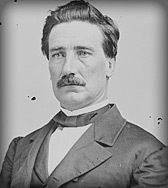 A. Wallace, Jr. The Staunton Artillery was accepted in state service for one year at Staunton, Augusta County, Virginia, on 17 April, 1861. The Staunton Artillery was ordered to seize Harpers Ferry Arsenal and Armory, on Shenandoah and Potomac Streets, Harpers Ferry, Jefferson County, Virginia, on 17 April, 1861. Note: Captain J D Imboden, Staunton Artillery, was stationed at Richmond, Henrico County, Virginia, in the evening on 16 April, 1861, and arrived by the Virginia Central Railroad at Staunton, Augusta County, Virginia, at 5 PM on 17 April, 1861. Staunton, Augusta County, to Manassas Junction, Prince William County, Virginia, 17-18 April, 1861: The Staunton Artillery was ordered to proceed by the Virginia Central Railroad to Harpers Ferry, Jefferson County, Virginia, under the command of Brigadier General W H Harman, Thirteenth Brigade, Fifth Division, Virginia Militia, at 6 PM on 17 April, 1861, and was accompanied by the West Augusta Guards (See the 5th Virginia Infantry). The company arrived at Charlottesville, Albemarle County, Virginia, at 10.30 PM the same day and by the Orange & Alexndria Railroad at Culpeper Courthouse, Culpeper County, Virginia, at 3 AM on 18 April, 1861. The Staunton Artillery arrived at Manassas Junction, Prince William County, Virginia, in the morning the same day. Manassas Junction, Prince William County, to Harpers Ferry, Jefferson County, Virginia, 18-19 April, 1861: The Staunton Artillery arrived by the Manassas Gap Railroad to Strasburg, Shenadoah County, Virginia, at 11 AM on 18 April, 1861, and was ordered to proceed by the Valley Turnpike to Winchester, Frederick County, Virginia, in the afternoon the same day. The company arrived at Winchester, Frederick County, Virginia, in the evening on 18 April, 1861, and was ordered to proceed by the Winchester & Potomac Railroad to Charlestown, Jefferson County, Virginia, at 9 PM the same day. The Staunton Artillery was ordered to proceed by the by the Middleway, Charlestown & Harpers Ferry Turnpike to Harpers Ferry, Jefferson County, Virginia, at 12 AM on 19 April, 1861, and arrived via Halltown and Bolivar Heights, one and a half miles west of Harpers Ferry, Jefferson County, Virginia, at 4 AM the same day. Note: The Staunton Artillery was ordered to procure horses at Strasburg, Shenandoah County, Virginia, in the morning on 18 April, 1861. The Staunton Artillery was stationed at Harpers Ferry, Jefferson County, Virginia, under the command of major General K Harper, Fifth Division, Virginia Militia, on 19 April, 1861, and was ordered to Loudoun Heights, one mile south of Harpers Ferry Jefferson County, Virginia, at 11 PM on 20 April, 1861. Note: The Southern Guards was ordered to Loudoun Heights, one mile south of Harpers Ferry Jefferson County, Virginia, at 11 PM on 20 April, 1861, and the West Augusta Guards and a section of the Staunton Artillery was stationed at Bolivar Heights, one and a half miles west of Harpers Ferry, Jefferson County, Virginia, on 22 April, 1861. Mustered for the war, Harpers Ferry, Jefferson County, Virginia, 3 May, 1861: The Staunton Artillery was mustered in state service for the war at Harpers Ferry, Jefferson County, Virginia, by Colonel T J Jackson, Provisional Army of Virginia, on 3 May, 1861. Harpers Ferry, Jefferson County, Virginia, to Point of Rocks, Frederick County, Maryland, 6-27 May, 1861: Twenty-three men and two 6 pounder smoothbores of the Staunton Artillery, under the command of Captain J D Imboden, were ordered to Point of Rocks, Frederick County, Maryland, on 6 May, 1861, and were stationed at Point of Rocks, Frederick County, Maryland, under the command of Captain T Ashby, Fauquier Mountain Rangers, between 6 and 27 May, 1861 (See the 7th Virginia Cavalry). Harpers Ferry to Shepherdstown, Jefferson County, Virginia, 30 May, 1861: A detachment of sixty men of the Staunton Artillery and two 6 pounder smoothbores, under the command of First Lieutenant T L Harman, were ordered to Shepherdstown, Jefferson County, Virginia, on 30 May, 1861, and was accompanied by the 5th Virginia Infantry, Companies C and L, under the command of Captain R L Doyle, Company C (See the 5th Virginia Infantry). Note: First Lieutenant T L Harman, Staunton Artillery, was assigned to guard the covered bridge over the Potomac River between Shepherdstown, Jefferson County, Virginia, and Sharpsburg, Washington County, Maryland, under the command of Captain R L Doyle, 5th Virginia Infantry, Company C, on 30 May, 1861, and the Staunton Artillery was stationed at Harpers Ferry, Jefferson County, Virginia, on 6 June, 1861. General Orders No.25, Headquarters, Virginia Forces, Richmond, Henrico County, Virginia, 8 June, 1861: The Staunton Artillery was assigned to the Confederate States by General Orders No.25, Headquarters, Virginia Forces, Richmond, Henrico County, Virginia, on 8 June, 1861, and was accepted in Confederate service on 1 July, 1861. Evacuation Harpers Ferry, Jefferson County, Virginia, 15 June, 1861: The Staunton Artillery evacuated Harpers Ferry, Jefferson County, Virginia, between 6.30 and 9 AM on 15 June, 1861, and arrived by the Charlestown Turnpike at Charlestown, Jefferson County, Virginia, at 3 PM the same day. Evacuation Harpers Ferry, Jefferson County, Virginia, 15 June 1861: The Staunton Artillery evacuated Harpers Ferry, Jefferson County, Virginia, in the morning on 15 June, 1861, and was ordered to proceed by the Smithfield, Charlestown & Harpers Ferry Turnpike to Winchester, Frederick County, Virginia, the same day. The company arrived at Charlestown, Jefferson County, Virginia, in the afternoon on 15 June, 1861. Note: The Staunton Artillery was stationed at Camp Johnston, on the Berryville & Charleston Turnpike, on the North or South Fork of Bull Skin Run, three or four miles west of Charlestown, Jefferson County, Virginia, in the evening on 15 June, 1861. Camp Johnston, on the Berryville & Charleston Turnpike, on the North or South Fork of Bull Skin Run, three or four miles west of Charlestown, Jefferson County, to Mill Creek, a quarter of a mile north of Bunker Hill, Berkeley County, Virginia, 16 June, 1861: The Staunton Artillery was ordered to Bunker Hill, Berkeley County, Virginia, at 9 AM on 16 June, 1861, and arrived at Mill Creek, a quarter of a mile north of Bunker Hill, via Smithfield or Middleway, Berkeley County, Virginia, in the evening the same day. Note: The Staunton Artillery was assigned to the Third Brigade, Army of the Shenandoah, under the command of Senior Colonel W C Falkner, 2nd Mississippi Infantry, at Mill Creek, a quarter of a mile north of Bunker Hill, via Smithfield or Middleway, Berkeley County, Virginia, on 16 June, 1861. Mill Creek, a quarter of a mile north of Bunker Hill, Berkeley County, to Stephenson's Station, on the Winchester & Potomac Railroad, four miles northeast of Frederick County, Virginia, 17 June, 1861: The Staunton Artillery was ordered to proceed by the Martinsburg Turnpike to Winchester, Frederick County, Virginia, at 2 PM on 17 June, 1861, and arrived at Camp Defiance, Stephenson's Station, on the Winchester & Potomac Railroad, four miles northeast of Winchester, Frederick County, Virginia, in the evening the same day. Camp Defiance, Stephenson's Station, on the Winchester & Potomac Railroad, four miles northeast of Winchester, to Apple Pie Ridge, half a mile northwest of Winchester, Frederick County, Virginia, 20 June, 1861: The Staunton Artillery was ordered to Winchester, Frederick County, Virginia, in the morning on 20 June, 1861, dated PM on 19 June, 1861, and arrived at Apple Pie Ridge, half a mile northwest of Winchester, Frederick County, Virginia, the same day. Apple Pie Ridge, half a mile northwest of Winchester, Frederick County, to Darkesville, Berkeley County, Virginia, 2-3 July, 1861: The Staunton Artillery was ordered to proceed by the Martinsburg Turnpike to Darkesville, Berkeley County, Virginia, at 12 PM on 2 July, 1861, and arrived via Bunker Hill, Berkeley County, Virginia, at 10 AM on 3 July, 1861. Darkesville, Berkeley County, to Apple Pie Ridge, half a mile northwest of Winchester, Frederick County, Virginia, 7 July, 1861: The Staunton Artillery was ordered to Winchester, Frederick County, Virginia, at 11 AM on 7 July, 1861, and arrived at Apple Pie Ridge, half a mile northwest of Winchester, Frederick County, Virginia, at 8 PM the same day. The Staunton Artillery was ordered to Manassas Junction, Prince William County, Virginia, by Special Orders No.1, Headquarters, Army of the Shenandoah, Winchester, Frederick County, Virginia, at 1 AM on 18 July, 1861, dated 17 July, 1861. Apple Pie Ridge, half a mile northwest of Winchester, Frederick County, to Piedmont Station, Fauquier County, Virginia, 18-19 July, 1861: The Staunton Artillery was ordered to Piedmont Station, Fauquier County, Virginia, at 2 PM on 18 July, 1861, and arrived at Berry's Ferry, on the Shenandoah River, three and a half miles southeast of Millwood, Clarke County, Virginia, at 11 PM the same day. The company was ordered across the Shenandoah River at Berry's Ferry, three and a half miles southeast of Millwood, Clarke County, Virginia, in the evening on 18 July, 1861, and arrived at Piedmont Station via Ashby's Gap, Paris, and Upperville, Fauquier County, Virginia, at 9 PM on 19 July, 1861. Piedmont Station, Fauquier County, to Manassas Junction, Prince William County, Virginia, 20 July, 1861: The Staunton Artillery was ordered to Manassas Junction, Prince William County, Virginia, in the morning on the 20 July, 1861, and arrived at Camp Pickens, Manassas Junction, Prince William County, via Salem and White Plains, Fauquier County, Virginia, in the evening on 20 July, 1861. Camp Pickens, Manassas Junction, Prince William County, to Camp Walker, on the Orange & Alexandria Railroad, one and a half miles southwest of McLean's Ford, on the Bull Run River, 20-21 July, 1861: The Staunton Artillery company was ordered one and a half miles southwest of McLean's Ford, on the Bull Run River, at 11.30 PM on 20 July, 1861, and arrived at Camp Walker, on the Orange & Alexandria Railroad, one and a half miles southwest of McLean's Ford, on the Bull Run River, at 12 AM on 21 July, 1861. After the first battle of Manassas the Staunton Artillery arrived at Camp Walker, on the Orange & Alexandria Railroad, one and a half miles southwest of McLean's Ford, on the Bull Run River, in the evening on 21 July, 1861. Camp Walker, on the Orange & Alexandria Railroad, one & a half miles southwest of McLean's Ford, McLean's Ford, to the vicinity of F Lewis' Farm, a quarter of a mile southwest of Lewis' Ford, on the Bull Run River, 23 July, 1861: The Staunton Artillery was ordered to the vicinity of F Lewis' Farm, a quarter of a mile southwest of Lewis' Ford, on the Bull Run River, in the morning on 23 July, 1861. Vicinity of F Lewis' Farm, a quarter of a mile southwest of Lewis' Ford, on the Bull Run River, to Lewis' Ford, the Bull Run River, 25 July, 1861: The Staunton Artillery was ordered to the Bull Run River in the evening on 25 July, 1861, and arrived at Camp Bee, Lewis' Ford, on the Bull Run River, on the Bull Run River, the same day. Camp Bee, Lewis' Ford, Bull Run River, to Bristoe Station, on the Orange & Alexandria Railroad, Prince William County, Virginia, 3 August, 1861: The Staunton Artillery was ordered to Bristoe Station, on the Orange & Alexandria Railroad, Prince William County, Virginia, at 7 AM on 3 August, 1861, and arrived at Camp Jones, Bristoe Station, on the Orange & Alexandria Railroad, Prince William County, Virginia, the same day. Reorganised at Yorktown, York County, Virginia, 22 April, 1862: The Staunton Artillery was reorganised at Yorktown, York County, Virginia, under the command of Captain W L Balthis, on 22 April, 1862. Surrendered at Appomattox Courthouse, Appomattox County, Virginia, 9 April, 1865: The Staunton Artillery, under the command of Captain A W Garber, surrendered at Appomattox Courthouse, Appomattox County, Virginia, on 9 April, 1865. The Staunton Artillery was assigned to the Third Brigade, Second Corps, Army of the Potomac, under the command of Brigadier General W H C Whiting, Confederate States Army, on 25 September, 1861.